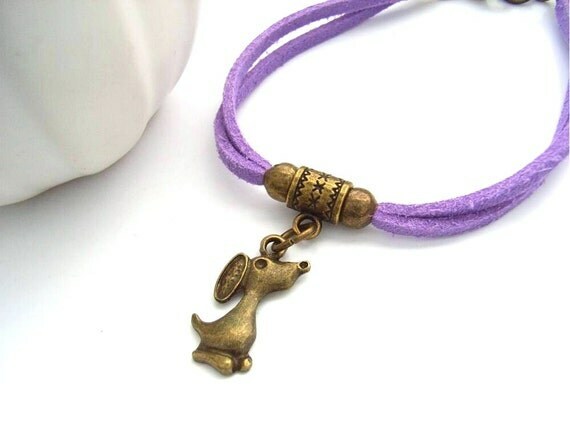 Little bronze tone dog charm set on a lilac or dark red faux suede cord bracelet which fastens with an antique bronze tone lobster claw clasp. This dog charm is tiny, but very cute - sort of a cartoon dog with very floppy ears. Woof, woof! Please note: Some dye loss may occur if the cord gets very wet, so not for wearing in the shower!